<< Back Stunning Goldstone Heart Necklace - On Solid Silver Chain - NEW AND ELEGANT! 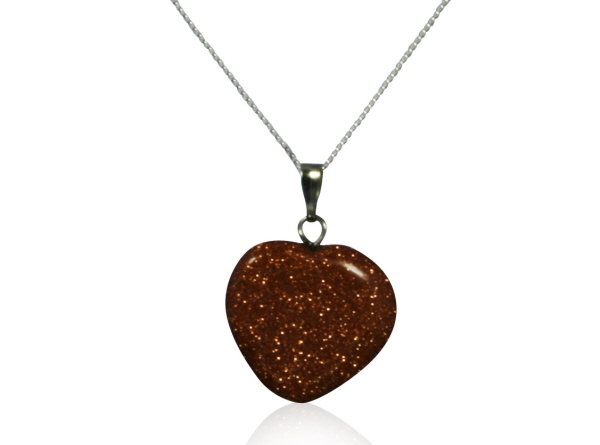 It is crafted from a gorgeous little polished Goldstone Heart pendant strung from an 18 inch solid silver curb chain. Goldstone is not often used in jewellery, but it should be used more as it has such a lovely sparkling texture and colouration.